Every couple years or so, someone joins in on the race to build the most luxurious yacht, most expensive yacht, and most squanderous yacht the world has ever seen. The Admiral X Force, which has yet to be built, is expected to cost $1,000,000 and will be 465-feet long, giving it the potential to be the world’s most expensive yacht for a little while. The yacht is longer than two jumbo jets or one and a half football fields, so you can say the thing is pretty massive. According to Business Insider, the yacht is expected to be beautifully designed down to the most minor of details. The master bedroom is a work of art, and has the entire half-deck of the boat reserved for the owner’s enjoyment. 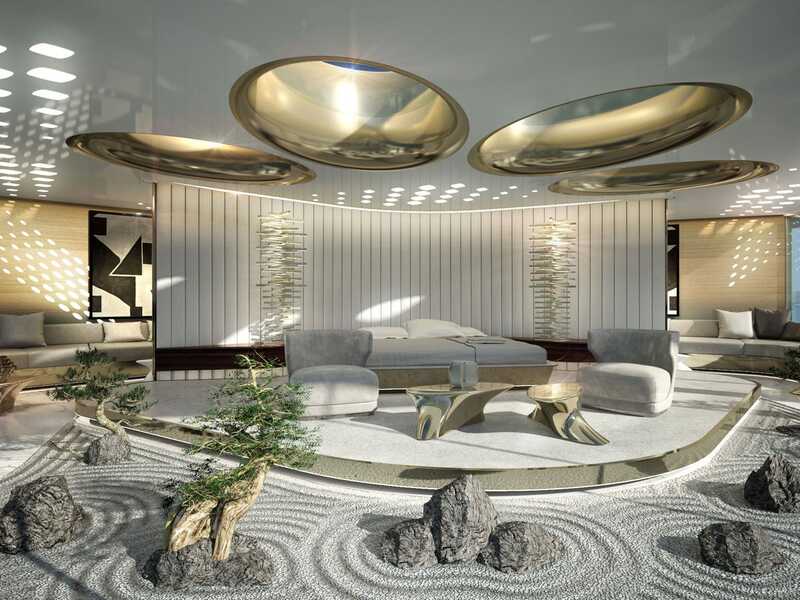 It will include two pools, multiple gyms, a bi-level spa, multiple helipads, and the most tranquil zen garden you’ll ever lay eyes on. Another perk is the anticipated open-air balconies, which even in a generated photo can take the breath away. And when simply resting on the open water, at night the yacht will be illuminated by a 360-degree ring of lights, Business Insider said. BUT- it won’t even hold the record for most expensive yacht for even a second if it’s not built before the anticipated project from 4Yacht, Triple Deuce. This yacht similarly comes with an over-a-billion dollar price tag, but at an incredible 722-feet, the Admiral X pales in comparison. The Triple Deuce is expected to be finished in spring of 2018.